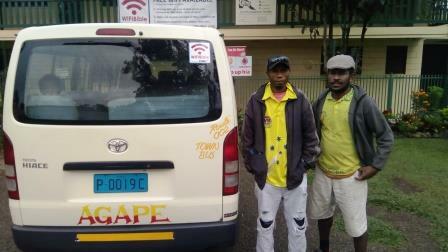 On Monday (16th July) he drove his bus as soon the main gate was open for business to get the Wi-Fi installed. To his joy he discovered that a free WiFi Bible device was to be installed in his bus. In this day and age when everything requires money in exchange for items or service, the sound of a FREE something really sounds sweet to the ear. 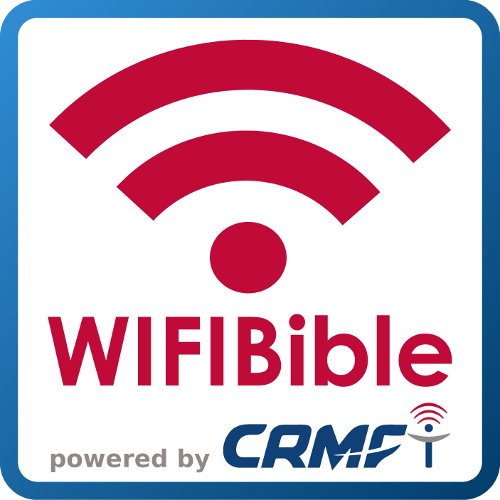 A Goroka based bus owner of “AGAPE Bus Lines” was at a loss of words when he was notified that he would get a free WiFiBible device for his bus. The CRMF Sales guys had talked to him last Friday (13th July) that CRMF had a special project that installs free Wi-Fi device that lets you download resources without data or internet connection. This was the first of the twenty WiFi Bible units that was donated by MAF Netherlands for CRMF to install on PMVs (public motor vehicles). What a privilege to get on a public transport that has free entertainment that is available kilometre by kilometre! 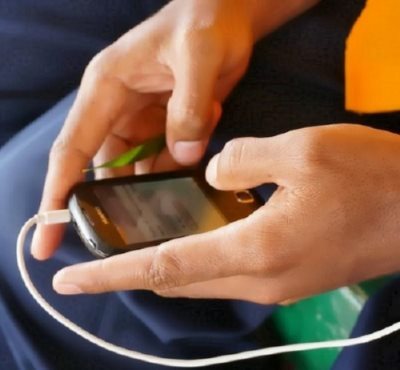 All you need is a mobile phone, activate your Wi-Fi via settings on your phone and everything is yours free of charge! Oh and yes this is unlike the ones at the airport terminals and big shopping malls where you lose your signal when you move. This is a special one that is with you every inch of the trip and if you care to look over the shoulder of the passenger in front of you will notice a small box attached to the cigarette lighter; that is your box of free resources. The free Wi-Fi is just a cover of something which has more value than the actual price of the little square box. Imagine you have a bus ride from Goroka in the Eastern Highlands and your plan is to go to Lae in the Morobe Province. You have about five hours of travel ahead of you, what are you going to do? 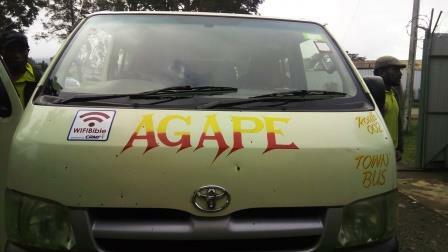 Then imagine you have a seat on Agape Bus which has a small WiFi router device that you can access with your phone and download all different kinds of songs, videos, and Christian materials for free with NO charge to your Digicel or BMobile credit! That would make the ride more enjoyable and refreshed by the music or by the Scriptures. 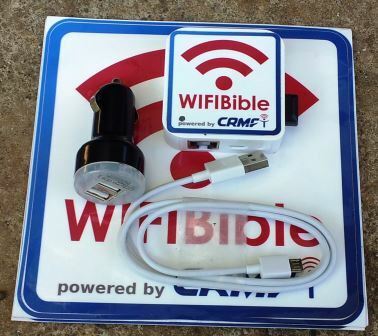 The goal of CRMF installing WiFiBible on public motor vehicles is to give opportunity to all Papua New Guineans who travel our main highway to hear the Gospel of Christ. The Bible reminds us all that before Jesus comes back His Gospel “must first be proclaimed to all nations” Mark 13:10. We at CRMF see a great opportunity to help the Church spread the Good News with ways we are good at; via technology. Riding on a WiFi Bible equipped bus with free bibles, Gospel music, video clips is a golden opportunity to have an encounter with the Lord. Five hours is quite a long time for nothing special to happen to you. We invite you to take a ride and discover the free resources that are available. We thank the bus owners who are willing to partner with Jesus to reach out to their own country men and women by allowing CRMF to install WiFi Bible devices on their vehicles. We appreciate MAF Netherlands for the support and prayers by putting a WiFi Bible on public vehicles to entertain passengers for a greater trip.